What can we expect from Italy’s conference on Libya? You are here: Home / Analysis / What can we expect from Italy’s conference on Libya? Next week, Italy is hosting an international conference on Libya in Palermo, Sicily. Italy has every reason to be concerned about what is happening in Libya, given that the Libyan capital, Tripoli, is only five hundred kilometres south of Sicily and little over one hour flying time from Rome. The Libyan shambles effects Italy more than most, like reported by middleeastmonitor.com. Furthermore, Italy has a big economic interest in Libya, from where it imports 25 per cent of its gas needs and about 10 per cent of its crude oil, adding weight to Rome’s concern for its former colony. On top of all of that, yet another dimension revolves around illegal migration. The Italy-France rivalry over Libya is no secret; Paris has hosted two conferences about the North African country — one in 2017 and the other earlier this year — to which Italy was not even invited. It was the French President’s way of saying that Paris can do without the Italians. As noted in a MEMO article last August, Italy and France are engaged in competitive diplomacy over who should lead in sorting out the Libyan issue. Italy supports the Government of National Accord (GNA), based in western Libya, for two main reasons: UN Resolutions recognise it as the only legitimate government, and Italy’s giant energy company, ENI Gas, operates a huge facility in Mellitah, west of Tripoli, from where it pumps gas to Italy. The company also has a couple of lucrative oil concessions in Libyan territory; one in the desert and the other in Libya’s territorial waters in the Mediterranean Sea. Economically, western Libya is more important to Italy than the east. Southern Libya is also crucial to Italy. The vast, mostly desert region is where the trafficking of migrants and asylum seekers begins. Over the past two years, Italy has tried to enlist the support of tribes in the area to help in curbing the flow of people, with some degree of success. As such, the Palermo conference is important, even if it is also a political show. Italy’s Prime Minister, Giuseppe Conte, got some essential backing from Donald Trump in July when he first proposed the gathering alongside the US President at a White House press conference. This means that the US will be represented at some level in the conference, which will boost its political credibility. Libyan Field Marshall Khalifa Haftar will also be there. He met the Italian Foreign Minister, Enzo Moavero Milanesi, in September and confirmed his participation last week. Despite the fact that Italy does not favour Haftar officially, his presence will be vital. Much depends on him and his forces in eastern Libya. It is in Haftar’s interest to show up; failure to do so would make him look out of line with Rome. Over the summer, Italy opposed the holding of elections in Libya, which had been agreed in the May Paris meeting that brought together all of the rival groups. Italy cited security and practical issues which, it believes, make free and fair elections nearly impossible to hold. 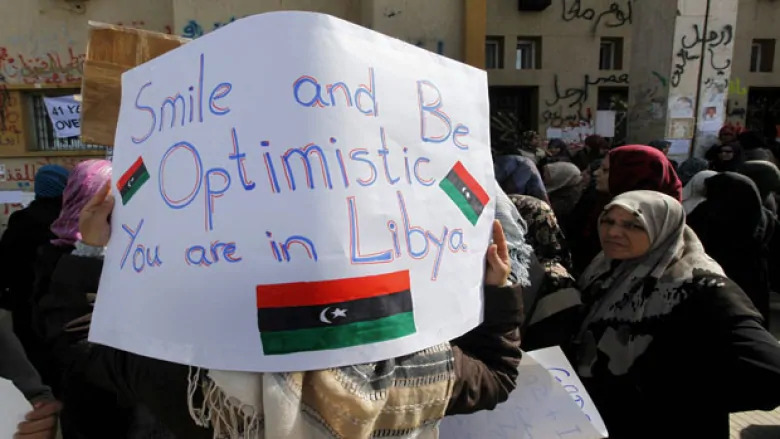 The recent deterioration of security in and around Tripoli, along with increased violence in southern Libya, attest to this opinion which is, incidentally, shared by many observers of Libyan affairs. As the only internationally-recognised government in Libya, the GNA will be represented at the conference by Prime Minister Fayez Al-Sarraj. Another two major players have confirmed that they are going to Palermo: the chairman of the Tripoli-based Supreme Council of State, Adel Al-Mishri, and parliamentary speaker Aqilah Saleh, based in eastern Libya. This will not be the first time that the leading Libyan politicians have met outside the country in search of a solution to the conflict, despite their normal squabbling. They have done so at least three times in the past couple of years. What is important on this occasion is the expected outcome. UN Envoy to Libya Ghassan Salame is unlikely to be impressed by the Palermo show since he has seen it all before. He will probably not present any new ideas to break the impasse but he does not mind hearing the ideas of others, something he has always done. Salame is more likely to repeat what has been agreed before, particularly in Paris in May. This will give the Italians satisfaction that agreement has been reached and Rome, as well as Paris, can get the Libyan protagonists to agree on something, even if it’s the same thing. Regional countries vying for influence in shaping Libya’s future have also been invited to the Sicilian capital. Egypt, Algeria, Tunisia are Libya’s immediate neighbours and cannot be ignored. 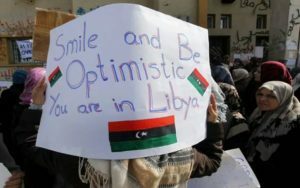 The United Arab Emirates, Qatar, and Turkey are among the most active foreign states inside Libya, although their roles are usually seen by Libyans across the political divide as divisive. Even if Italian diplomats do their homework well, the Palermo gathering is not expected to deliver any breakthrough to tackle the Libyan conflict. Italy, however, could score some points over its rival France as it seeks to reaffirm its already stated positions and station itself as the main European actor when it comes to Libya. The Libyans, meanwhile, continue to pay a high price in the conflict. They do not expect much from yet another political show, no matter who is organising it, for the simple reason that they have little trust in their own politicians, who are increasingly becoming part of the problem when they should be part of the solution.